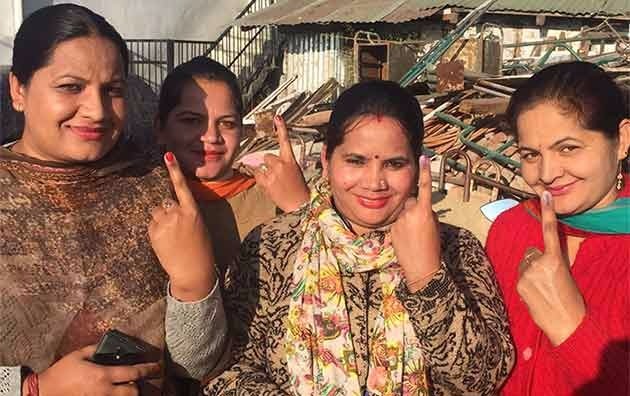 The polling for the 68 Assembly constituencies of Himachal Pradesh underway across 7,525 booths in a single phase on Thursday. Shimla: The polling for the 68 Assembly constituencies of Himachal Pradesh began across 7,525 booths in a single phase on Thursday. The polling began at 8:00 am and end at 5:00 pm. A total of 338 candidates, including 19 women, are in the fray. As many as 50,25,941 voters are eligible to cast their votes and 37,605 polling personnel have been deployed at 7,525 polling booths. 983 polling stations had been declared vulnerable and 399 as critical to ensure free and fair elections in the state. There is a straight contest in Jhanduta constituency with just two candidates, while Dharamshala constituency with 12 has the maximum number of candidates. In the existing assembly, there are 35 Congress MLAs as against BJP's 28 in the 68-member house. Four of the remaining five are independent candidates while one seat is vacant. In terms of area, the largest assembly constituency is Lahaul and Spiti. The Congress and the BJP are contesting all 68 seats, while the Bahujan Samaj Party (BSP) is contesting 42 seats, followed by the CPI(M) 14, Swabhiman Party and Lok Gathbandhan Party six each and the CPI-3.